If you are in need of bone grafting or teeth replacement with dental implants, PRP therapy is a game-changer. This advancement, referred to as platelet-rich plasma therapy, expedites the healing process and aids in bone and tissue regeneration. Fortunately, Drs. Gerald W. Bird and Jay A. Johnson offer PRP therapy at our Melbourne, FL dental practice. For the right patients, this revolutionary procedure can be a valuable asset to your treatment. The plasma and platelets found in the blood contain natural growth factors. When these components are isolated, they can accelerate the body’s own natural healing capabilities. When applied directly to the surgical area, these growth factors aid in rebuilding the jawbone that supports the teeth, as well as improve vascularity in the gum tissue. To perform PRP therapy, a small sample of your blood will be taken before your procedure begins. This can be easily performed in a few minutes, especially if you have already opted for intravenous (IV) sedation during your treatment. 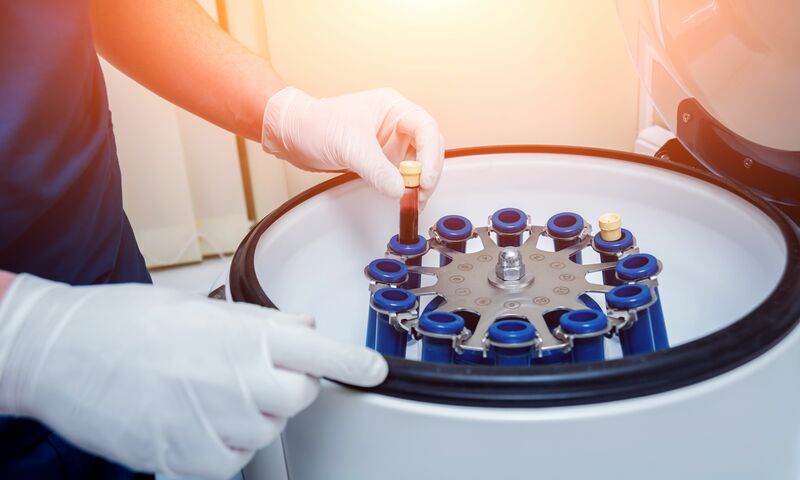 To separate and isolate the plasma and platelets, the blood sample will be spun in a centrifuge for approximately seven to 10 minutes. The result is a substance that contains three to five times the number of growth factors typically present in your blood. One of the most common uses for PRP therapy in the field of dentistry is bone grafting before implant placement. In order for a dental implant to deliver long-term stability, it must be placed into dense, healthy bone. PRP contains a growth factor called bone morphogenetic protein (BMP), which specifically aids in the formation of new bone. Whenever bone grafting is necessary – whether in ridge reservation or jaw augmentation – PRP can enhance the predictability and speed at which the site heals, offering a solid foundation for a dental implant. PRP is incredibly useful anytime there is the need for rapid healing. In addition to bone grafting procedures, PRP therapy is also used in conjunction with the removal of tumors or cysts. In cases where a fistula (or hole) has developed between the oral and sinus cavities, this treatment can accelerate healing and reduce complications. Safety: Because PRP is obtained from the patient’s own blood, there is zero chance for the transmission of diseases. Convenience: The blood sample necessary for treatment can be obtained at the same time the patient is undergoing their procedure. Cost-effectiveness: Having blood drawn at a hospital or blood bank can add a significant cost to treatment. Because we can obtain the PRP here at our office, our patients save money. Faster healing: Patients who undergo PRP therapy can enjoy noticeably faster healing times following surgery. Simplicity: Obtaining PRP is a fairly simple and straightforward procedure. Once the substance is ready, it can easily be applied to the surgical site in a gel-like form. Can Everyone Benefit from PRP Therapy? The majority of patients can certainly benefit from this innovative technology. During your initial consultation at our office, our doctors will determine whether PRP therapy is necessary for your treatment. In rare cases, patients with certain bleeding disorders may not qualify for PRP therapy. If you must undergo a dental procedure such as bone grafting or dental implant placement, PRP therapy may be an excellent way to enhance the results of your treatment. To find out if this procedure is right for you, contact us online.